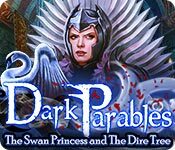 Dark Parables: The Swan Princess and The Dire Tree is rated 3.1 out of 5 by 18. Rated 5 out of 5 by wildweasel from The Swan Princess I could have sworn that I wrote a review for "The Swan Princess" already. In any case, I enjoyed the game and it had some unique HOS's that weren't always all that easy. I didn't care for the layout of the Map, but it got me through the game, and so I can't really say anything bad about it. I think you might enjoy "The Swan Princess" too. Rated 5 out of 5 by ninja226 from A gorgeous game in every respect Have no idea why the ratings for this game is so low. This is the BEST game in the Dark Parables series. The artwork is stunning, gorgeous, creative, and stunning. It's clear, high def, bright and cheerful. The story is quite good. It's a long game, with a lot to do. 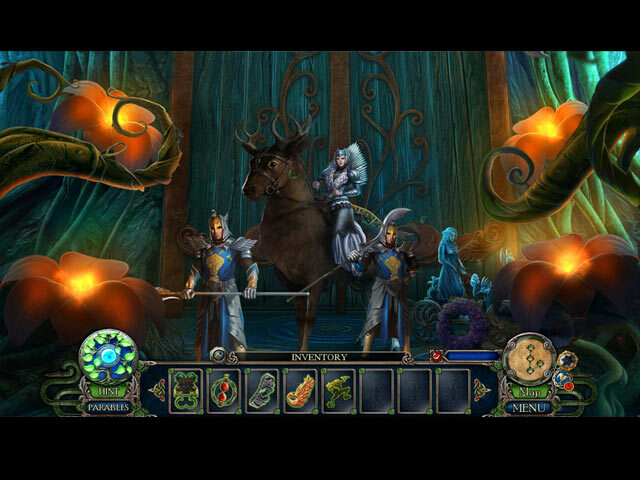 The game is hard to play on expert mode, with many actions not obvious. Helpful messages are really needed, as is the teleport map, as there is a lot of traveling to many places, even ones encountered at beginning of game towards the end of the game. The HOS are frags of objects, the trademark of the series, and they can be challenging at times because the frags are small. If I have any beef against the game, it's that some of the mini puzzles repeat themselves at least 4 times, so that got a little old. Most puzzles are reasonable, but a few are challenging. Despite the dreary name, the Dire Tree is an amazing, wondrous, and beautiful world to enter. I was pleasantly surprised by the quality of this game, especially the artwork, which I LOVED, and would make me want to play again. Other games in this series have not had high quality graphics, but this game is definitely a TWO THUMBS UP from me. If you enjoy eye candy artwork and fairytale HO games, this game fits the bill. Rated 5 out of 5 by JulzCat from Rise Of The Even Darker Swan!!! I was shocked at the reviews of this game. It may not be the best in the series but it wasn't as bad as all that. Try it out with the free trial before you pass on this beauty...you won't regret it!! In this game we meet some sort of Swan Army that works for the Goddess Flora. Well, things aren't what they seem and you get to team up with Ross Red (Snow White's bubby) to save the kingdom from the traitor. I initially thought this game was about the Swan Lake Princess (one of the MANY wives of the Frog Prince), but it wasn't. However, they did have a nice little homage to her during the game. The graphics alone are worth playing these games to me. I feel that Eipix and Blue Tea really go out of their way to make these games truly beautiful. The fun puzzles are really just the icing on the cake! Rated 5 out of 5 by Yanie1020 from Really Enjoyed This One! Not sure which game the other reviewers were reviewing. I thoroughly enjoyed this one! It was a long game, with some new, challenging puzzles (had to skip one), great music, wonderful graphics, and my favorite HOP's where you have to find pieces of objects until they come together as one large piece. My favorite puzzles were the ones where you had to connect boxes with various numbers of dots in them. However many dots were in the boxes told you how many other boxes you needed to connect them to. I solved all of them and wish there would have been more. This was a great game! Now I need to check to see if I've missed any of the Dark Parables games because I want to play them all! Rated 4 out of 5 by Mystic4 from Overall, A Great Game with Gorgeous Scenery The graphics in this game were absolutely gorgeous! I saved several scenes to use as wallpaper. The story line was good at the beginning. I didn't like it when there was a major twist in the plot, which I won't give away so there's no spoiler. After that turn of the plot, the game wasn't quite as fun for me and that's about the time the graphics stopped being quite as gorgeous. The puzzles were solvable. I was surprised at quite a few when I solved them and then wondered how I did it, lol. My little gripe with the HOS is about one item in every puzzle or two doesn't look quite like the item pictured. Either the colour is way off or the shape is slightly different. But overall, the HOS were fun and quick to finish which I like. Rated 4 out of 5 by denniann2 from beautiful game graphics are great! you are a detective that has been called upon to to restore the land to it's former glory. there is a custom level, and an interactive map. you do have help from unusual places and the story does take a twisty turn. Rated 4 out of 5 by biscuitsmama from THE SWAN PRINCESS NEEDS YOUR HELP, OR DOES SHE? In this latest installment of the Dark Parables series you have been called in to investigate the theft of the magic seed that is the key to reviving the Goddess Flora who keeps the balance of nature. What is even worse and beyond imagination is that the suspected thief is a high-ranking member of the prestigious Swan Guard whose members are all pledged to protecting the Goddess. Travel on a journey through this magical land to meet with the princess and help her in her quest to find the missing Magic Seed. Although the original developer of the series retains the name rights, there is nothing left of them in the recent games that have transitioned to another top BFG game developer. The graphics lack the depth and beauty of the original artistic team and now have that misty washed out appearance that is typical in games from the big E team. In many ways the graphics are comical and lackluster by comparison. Unfortunately, where the difference in style is most noticeable is in the FROG scenes that now are flat and lack the gorgeous style of the originals. I hate to say it but I struggled through the first FROG scene because most of the fragments needed were so muted that they disappeared within the scene, which is where the artistic difference is most apparent. IMHO, I believe the game deserves low five-star rating even with the change in graphics style. With the Swan Princess and the Dire Tree being a Dark Parables game most of the HOS are the FROG type with a few traditional HOPA scenes thrown in for good measure. As I commented above the FROG scenes created by the new developer are not nearly as much fun as those in the original series. I hate to say it but the word tedious is most appropriate. For the most part the mini-games seem easy but there are a few that are more challenging. Yes, the Swan Princess and the Dire Tree might not be as glorious as the original Dark Parables games but it still is a very good HOPA/FROG game. The storyline held my interest and, apart from the first tedious FROG, the gameplay was entertaining. I am an avid fan of the Dark Parables games and, even though the series is not quite the same, it retains enough of the original premise that it is one I will add to my collection. Even though I like this game, please try the demo to see if it is one that you will enjoy. Rated 4 out of 5 by pennmom36 from Cracks In The Plan Once Upon A Time......when I first discovered my love for HOPA's, I discovered an epic series. This series was called, Dark Parables, and I became hooked, purchasing one DP after another. The stories were creative, taking well know fairytales and twisting the plot ever so gently to draw you in hook, line, and sinker. But my favorite feature was the Morphing Objects which to be honest with you I didn't know they even existed until I was a couple of chapters in on Curse of Briar Rose, the first DP game I played.You know why? Because the developers were geniuses! Dark Parables were non-linear games, Morphing Objects didn't Morph until they were eventually triggered by by an action you did in an entirely different scene. These Morphs were challenging to say the least and often times you had to travel to a scene several times, and then had to be patient to spot the Morphs because they morphed slowly. 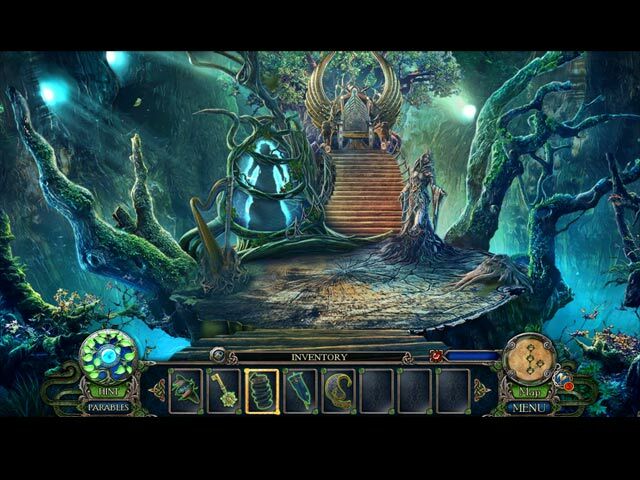 Dark Parables were also masters at blending fragments within their Hidden Object Scenes (FROGS) as well, which is a feature that didn't suit everyone's taste, but nevertheless, that's what made this series adored by many. I also loved the familiar sounds and music that was in all DP games until recently. Have the new producers scraped all the features because they don't want to become stereotypical, or is it just too much work when the easier route can skim by on the shirttail of it's predecessors? I'm certainly not bashing the devs, to the contrary, Swan Princess is a really good game, I just think the devs don't think we little guys will notice or care what's missing. Do me a favor, however, and give Curse Briar Rose, the Exiled Prince or even The Rise of The Snow Queen a try and you'll see what I mean, those were the good ole days. I know after reading all that, that it sounds like I think this is a horrible game. I don't think that at all, I enjoyed playing this game, I just don't think it holds a candle to the original Dark Parable games. If It Ain't Broke, Don't Fix It! I'm going to pretend it's just a fairytale and that maybe, just maybe, Epix will consider bringing back the non-linear Morphing Objects, I can live with the rest. The graphics are beautiful as usual, it even seems to be less glittery that the last couple of DP games, which is good thing. The Collector's Edition has 39 Hidden Acorn Signs and they are blended into the scenery very nicely, even better, the cursor doesn't change to a hand to alert you by simply scanning over the scene. At least they haven't taken away the Dark Parable Collections, (CE) and those fragments are well hidden too. Once you have collected all Parable fragments you get to read about short tales such as Up rise of the Swan, Forbidden Idol, The First Tree, A Dark Dream, and the Jewel of Repose. This twisted tale is about the magical kingdom of Dire Island where the Magic Seed that allows the goddess Flora to regenerate the Dire tree of life, has been stolen. The Swan guards are sworn to protect the goddess at all cost, and some of the guards have the ability to transform into beautiful swans. The Black Swan was a high ranking guard who is responsible for the theft, even though her intentions may have been for all the right reasons, she might not have known that the Kingdom would begin to crumble. 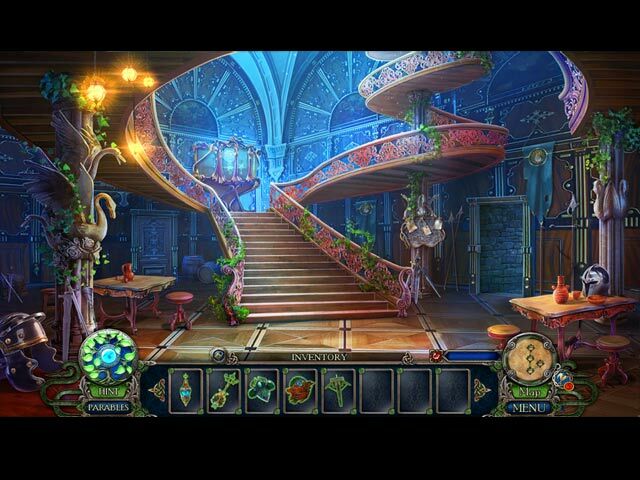 The Hidden Object Scenes are all the same, but that's a good thing! These are actually FROGS, where you search the scene for several fragments that are cleverly hidden among other objects. There are three different groups of fragments that will join together to make a single inventory item such as an elaborate key or emblem that will help you progress in the game. There are also a few Zoom Zone FROG's as well with just a handful of fragments to locate. The Mini Games are also clever, below are brief descriptions of some of the games you'll encounter during the demo: 1) Use the looking glass to find the path to the Dire Tree by selecting landmarks along the way as shown on the outside of the stone. 2) Find and place items within a play that are out of place as a story unfolds. 3) Swap pie shaped puzzle pieces to create an image. 4) Connect all the squares with the number of connections indicated by dots without intersecting connections and in the same direction. 5) Match symbols by searching for partially hidden symbols with shown. 6) Set up the boards so that every ball will fall to the correct place on the bottom that matches its color and shape and then test your configuration. The Collector's Edition has 12 Achievements, 6 Concept Art pictures, 8 Wallpapers, 9 Music Soundtracks, 22 replayable Mini Game puzzles, 16 replayable FROG's, 39 Hidden Acorn Signs, Hidden Parables (The Swan Princess and A Fable of Two Hearts), Souvenirs, 17 Videos, a built in Strategy Guide, NO MORPHING OBJECTS, and a Bonus Chapter, enjoy! Rated 3 out of 5 by rpggramma from OK! DP was one of my favorite; I have almost all of them. I haven't purchased any in a while so I bought 2 ; this and Tinderbox. I was not happy with this one, and do not think I will buy more! I never did like HOs, and these were always too hard on the eyes. But, I still purchased them, bc they were good games! I lost the story immediately. I thought we were going to fix the holes, me and this person who fixed the first hole. I was impressed with him. Then, he disappeared. After that, I did not know what was going on or why!!?? The HOs are the same, very ornate! The Parables are different in that you have to find the pieces which are morphs and impossible to find! (I like morphs). I did not find a complete Parable thru the main or bonus games! The collectibles are hard to find, as well. The game seemed to be long. The puzzles were the best thing for me, of course being a puzzle fan! So, here goes"Tinderbox"; hope I like it better! Rated 3 out of 5 by AshaWo from it was ok i was a little disappointed in this one.. I absolutely love all of the dark parables series.. but this one was just barely ok.. I don't know what they changed but there was just something lacking in it. the puzzles were not as enjoyable, the story line was still good but the challenge was inconsistent... some things where ridiculously easy while others were nearly impossible to figure out without out help.. and at times you had no idea what the objective of the puzzle was, it just popped up with no idea how to work it. It's up to you to save the Swan Princess’s kingdom!